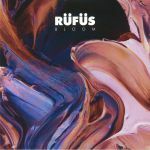 Review: Rufus is no stranger to the Bosconi camp, having previously released numerous EPs on their Extra Virgin offshoot. Here he transfers to the main label with a pleasingly varied EP. Each of the four tracks offers something different to discuss, from the skittish, jazz-influenced house breaks, chanted vocals and stretched-out melody lines of "Stranger Than Paradise", to the psychedelic-tinged stomp of wobbly acid track "A Mirage". Elsewhere, "Sleepy Song" is a bouncy but undeniably laid-back deep house cut with subtle disco influences, while Herva's remix of "Stranger Than Paradise" sits somewhere between jazz-jungle, experimental techno, and classic breakbeat house.